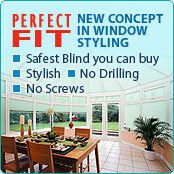 About Us - Window Blinds Leicester. Window Blinds Leicester. 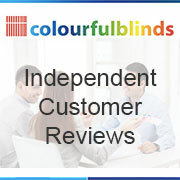 Colourfulblinds is a Leicestersire based family business which has now been operating for the last 8 years supplying and Installing Made to Measure Window Blinds to sectors including Residential, Commercial, Restaurants, Offices, Universities and shops in Leicestershire regions of Market Harborough, Melton, Loughborough, Hinckley and Coalville. And reaching further across the Midlands to Coventry, Derby and Nottingham. 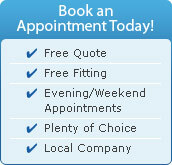 “To provide all customers an honest, reliable and efficient service using quality materials at affordable prices”. The appointment’s Understanding your requirements. Booking an appointment with our experienced advisor is FREE and simple, you just call 0116 316 986 and we’ll get you booked in for a FREE no obligation consultation. Every appointment is conducted from the comfort of your home or premises by our advisors who are fully trained, insured and employed by the company. The advisor will listen carefully to your requirements and conduct a survey and suggest suitable product(s), and selection of fabric styles and colours for each room requiring a blind and form a quotation. The Installation… Respecting your home. If you decide to proceed with the order your advisor will arrange a suitable day and time to return and install your blinds, which is usually within 5-7 working days form order. Great care is taken during the installation of your blinds, we will advise you if for example we need you to cover any additional items to prevent dust settling. Where we are working a cloth will be placed on the windowsill to catch the dust from any drilling, any remaining dust will be cleaned using a portable vacuum cleaner, leaving the area clean and ready for you to use your blinds. Aftercare… With you all the way. Our blinds are manufactured using the highest of quality of materials, we work with a number of suppliers in the UK to come up with a final product that looks good and works for many years to come. You can always be assured that if you need us we are only a phone call away, our team will be their to assist if you have any questions or concerns about your blinds, you can contact us Monday to Saturday between 9am to 9pm and Sundays 11am to 6pm, the great thing is we are Local. Window blinds & Child Safety – its everyones business!